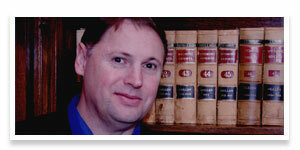 Jeffrey Boldt has worked as an attorney in private practice for more than thirteen years. His first nine years of practice were spent in Indianapolis, Indiana, where he specialized in debtor-creditor law and bankruptcy law on behalf institutional lending clients, and for large firms including Barnes & Thornburg, and Locke Reynolds, the firm that is now known as Frost Brown Todd. After this valuable experience, Jeffrey Boldt moved to Cheyenne, Wyoming in 2010 to accept a position with Hirst Applegate, and has practiced here ever since. Jeffrey is both a litigator and a transactional attorney, and specializes in business and real estate law, creditors’ rights law, bankruptcy, and commercial litigation. He also has considerable experience representing local governmental entities, and non-profit companies. During the 2011 session, Jeffrey assisted the Wyoming Legislature with several needed amendments to Wyoming’s foreclosure statutes. Jeffrey was involved early on in the drafting of House Bill 189, which both the Wyoming House and Senate passed unanimously. The Bill was signed by Governor Mead on March 3, 2011, and took effect on July 1, 2011.